Laneige is one of the top Korean skincare brand and also my personal favourite. It always develops new technology that works in its skincare and cosmetic. Early this year, Laneige introduced the Perfect Renew Regenerator that uses youth energy vital technology Skin Rebirth™ that will renew our skin by filling up the loose structures of “Baby Triangles” only found in a young skin. Skin Rebirth™ is a technology that rejuvenates the skin through flavonoid component extracted from the galangal root that increases skin Energy. Developed as an exclusive technology of LANEIGE for restoration with the inspiration from skin energy bio research of A*star in Singapore. Ceramide Water which is core moisturizing factor of Perfect Renew has been further upgraded to imitates skin barrier and thoroughly moisturizes skin, have a more powerful hydrating effect. The key technology of Perfect Renew Regenerator, Skin Rebirth™boosts the youth energy of the skin, rebuild the weakened skin texture to restore a dense baby triangle structure. I was sent a bottle of this beautiful Laneige Perfect Renew Regenerator last month. I immediately fell in love with the lovely blue and gold packaging, and I received a lot of loves in my social media sharing posts on the beautiful packaging. Perfect Renew Regenerator is a skin reverse serum that restores damaged skin, enrich moisturizing, improve fine wrinkles and enhance skin elasticity. I love its highly concentrated serum with light texture is easily absorbed into our skin. It has a refreshing scent hence it made application a delight moment for me. It is best to use together with Laneige Perfect Renew range including gel-type refiner, emulsion, cream-type moisturizer and eye cream to achieve sleek and fine skin just like the skin of a baby. 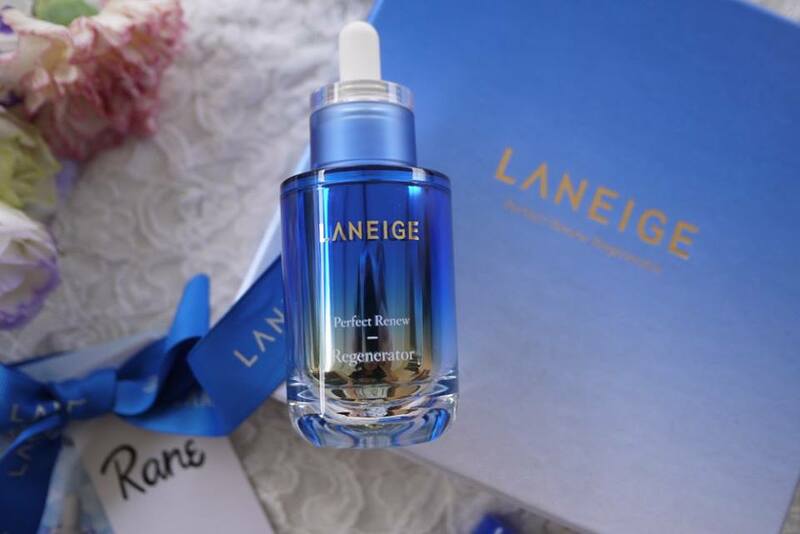 Laneige Perfect Renew Regenerator 40ml is retails at RM 225. I just love the colours of Laneige. Just love reading your review. Their products always make my face feel moisture!!! I like their products!! The packaging is the goal. I'm fans of Laneige product. Wondering if this product is suitable for all ages range? Oh yay, Laneige. I totally forgot about this brand. So many brands out there in the market nowadays! 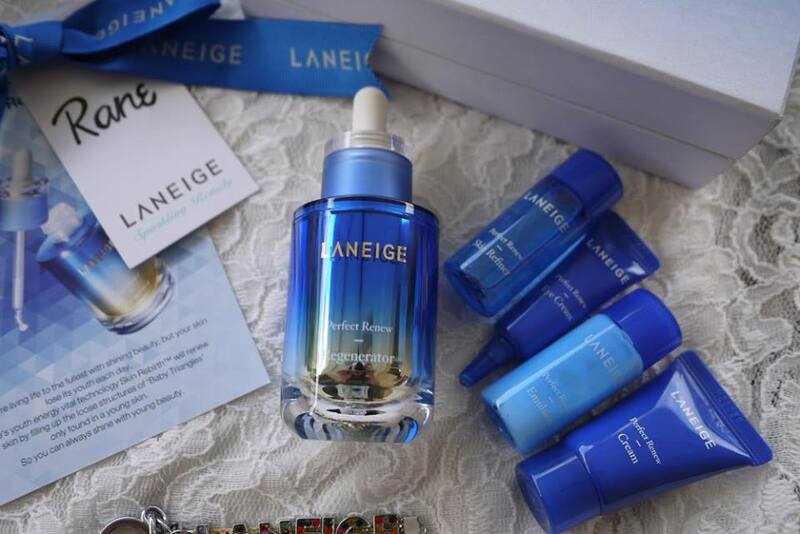 Laneige has been so famous nowadays, especially the hydration effect from the products! 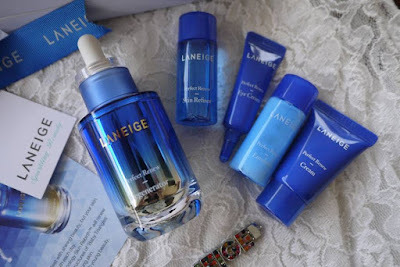 I love Laneige line of products! Very soothing for the skin! I like their previous one, think it was the black bottle. Is it the same just different type of packaging? Wootz! Nice and I am going to try out this set soon, I like this soothing products.